Scarborough Lumber has six stores to serve you in Santa Cruz County and Carmel Valley, California. 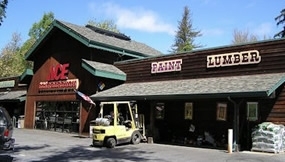 Scarborough Lumber and Building Supply, Scarborough Gardens and Scarborough Ace Hardware are located in Scotts Valley. Scarborough Home Center is located in Ben Lomond. Scarborough Building Supply is located in Boulder Creek and Carmel Ace Hardware is located in Carmel. Our stores are owned and operated by the Scarborough family, with an emphasis on bringing each community quality products with a knowledgable and friendly staff. We look forward to the opportunity to serve you!